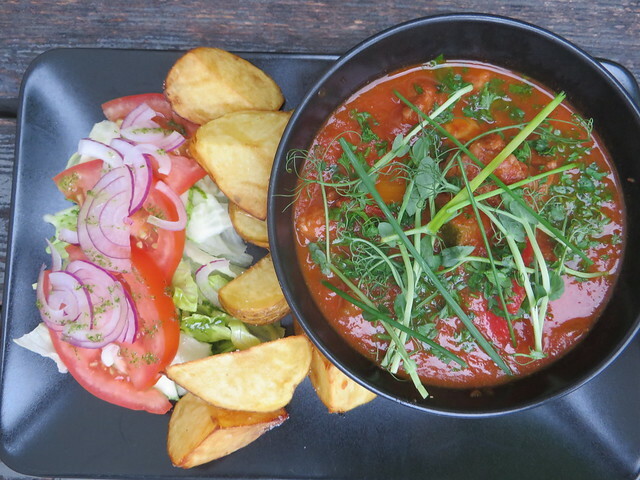 As we spent 9 days in Lithuania, wondering around the country, we did offer a bit of our daily time to check out places to taste some of this country’s cuisine. We did come back with a few kilos extra, mainly because the traditional dishes are quite heavy, with a mixture of potatoes, meat and pastry and not too many fresh veggies. 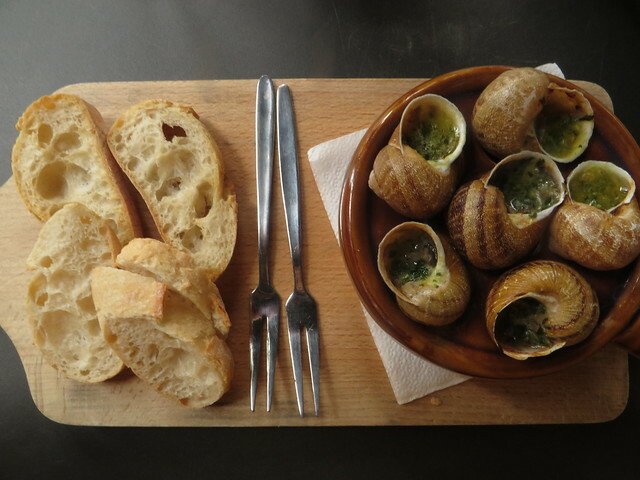 But still, it’s worth digging into what this country has to offer in terms of gastronomy. What I like about countries like Lithuania is that they have an opening to the sea, in this case the Baltic Sea, which means that they also have a fish based cuisine, besides the meat based one, predominant more in the inland territory of the country. 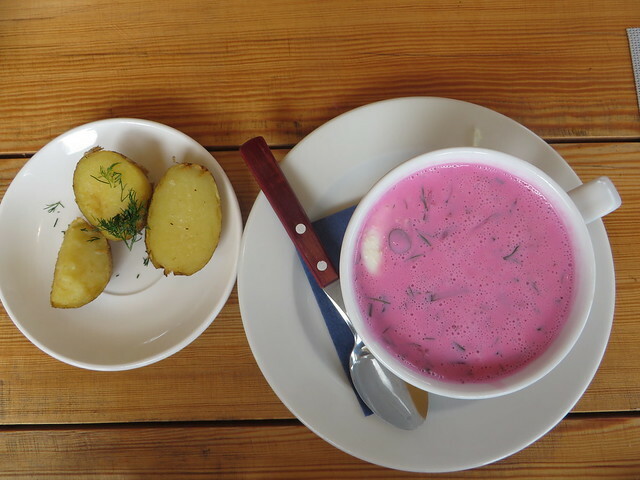 Lithuania’s cuisine relies mostly on root vegetables (including potatoes and beetroot), meat and diary products that can be grown in Lithuania’s cold climate (which is actually not that cold anymore). Cooked to be filling (too filling sometimes) and to keep you warm, here are some of the dishes we also tried during our trip. 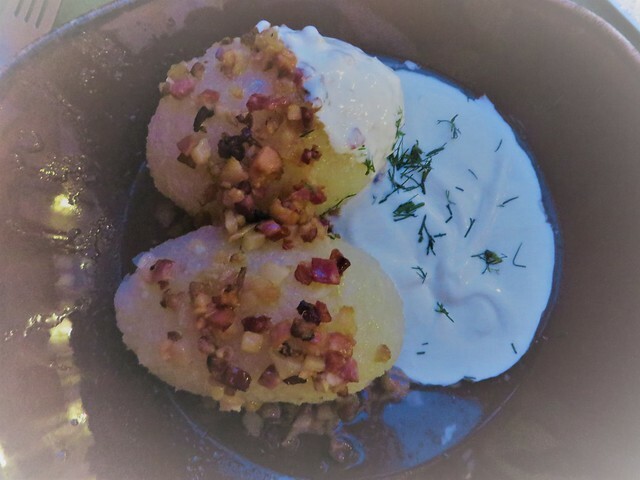 Lithuania’s national dish, Cepelinai are in fact potatoes dumplings (a mixture of raw and cooked potatoes dough) filled with all sorts of stuff, but mainly minced meat and served with sour cream and roasted bacon. You would say initially that two of these dumplings are not that much for when you’re hungry, but believe me sometimes they are as filling as you can’t even breathe anymore after you’ve had them. That’s something annoyingly tasty that you just can’t stop eating, it’s almost addictive. It’s also one of the main reasons we got back home with some extra kilos. 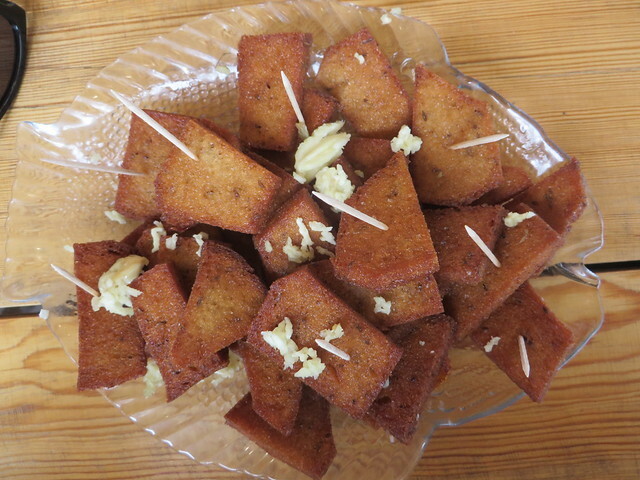 It’s the Lithuanian dark rye bread, fried in oil and seasoned with salt and garlic. You get it as a snack in some of the traditional restaurants, goes very well with a beer (yes, some more extra kilos with that as well) and it seems to be the Lithuanian’s comfort food, bringing back childhood memories for them. Finally something that could be considered a lighter dish than the ones above. 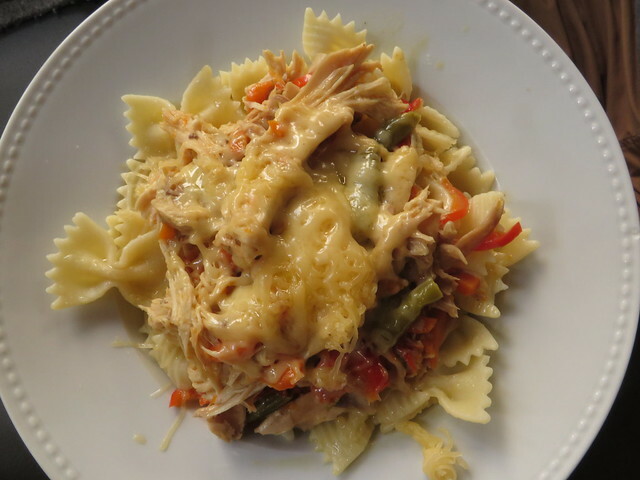 This dish is served mostly in the warmer days, as to cool down. It’s a cold soup, made with beetroot and kefir. To make it a bit more filling, Lithuanias add boiled potatoes and boiled eggs to this dish. It’s indeed refreshing and tasty and I liked the dill on top, gives it an even fresher taste. 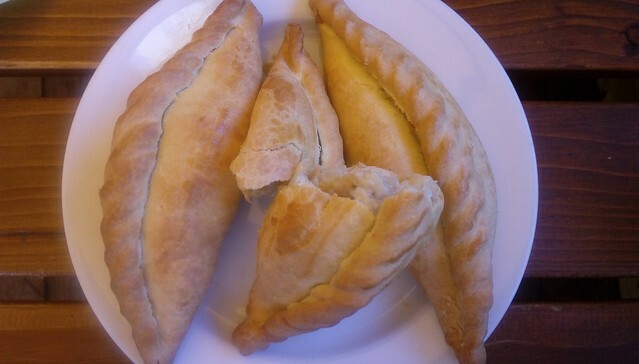 Kibinai are handmade pies, filled with all sorts of stuff, from roasted veggies, to all kind of meat and cheese, and jams for dessert, and are to be found mainly in the Trakai area. They the national dish of the Kariate people, an ethnically Turkic group that has lived in Lithuania for centuries. 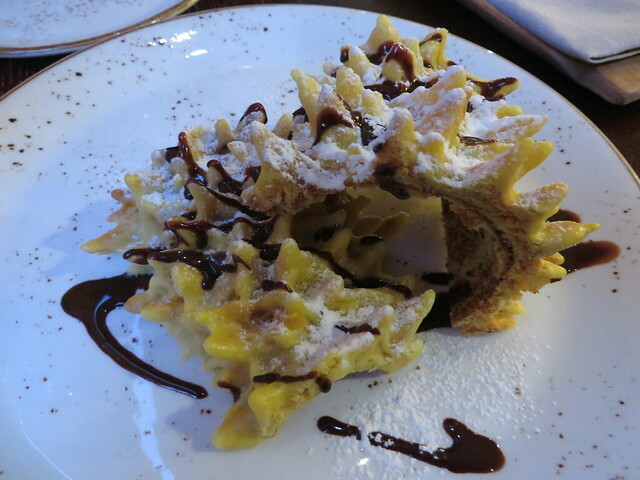 For all those pastry lovers out there, Kibinai is definitely a must try dish. 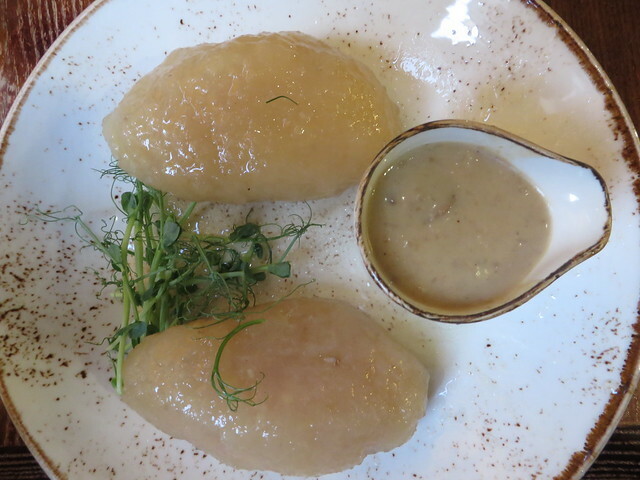 Curd cheese is a trademark of Lithuania and you will find it in most of the restaurant’s tasting menus, but also included in some of the traditional Lithuanian recipes, from main dishes to desserts. 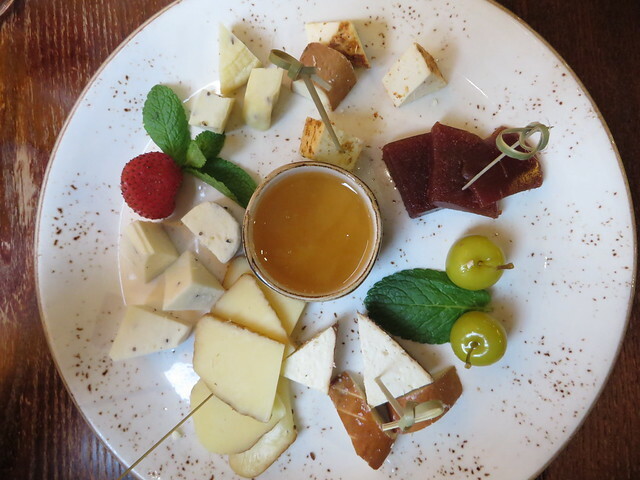 Besides the curd cheese, you will find plenty of other types of cheese, as Lithuania is mostly known for growing animals. 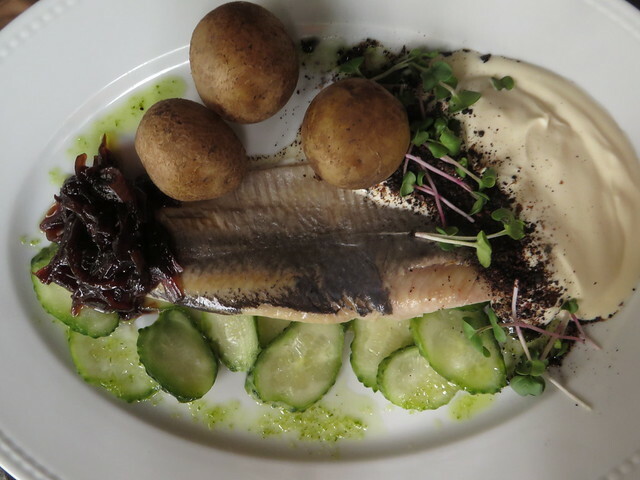 Fish is to be found mostly in the area around the Baltic Sea and it comes in fresh, marinated or smoked. I would guess that smoked fish recipes showed up in Lithuania as a means to conserve the fresh fish and to eat it even outside the fishing season. The conclusion is that you will find smoked fish every where you go around the Baltic Sea, but also inland, in Vilnius or Kaunas. They smoke all sorts of fish, but mostly eel and bream and serve it as a starter. As for marinated fish, herring is the main one you will find. 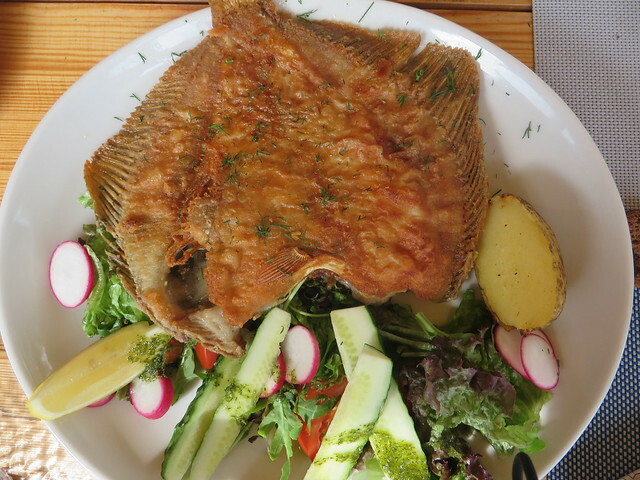 Pike or perch are the most known in Lithuania to be served as fresh fish, either fried, backed or grilled. 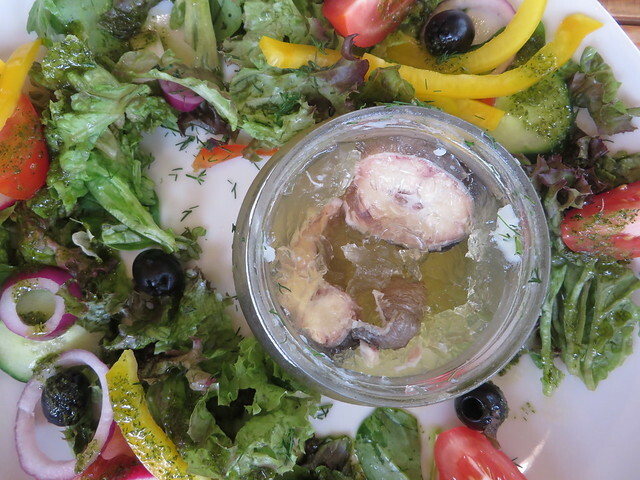 A delicacy we found in one restaurant on the Curonian Split, is the jellied eel (jellied pork is something Romanians do during winter time, so it was a bit of a surprise to find the same preparation method for fish). To be tried, is definitely something you don’t taste every day. As mentioned in the beginning, Lithuanian cuisine is based mostly on meat. 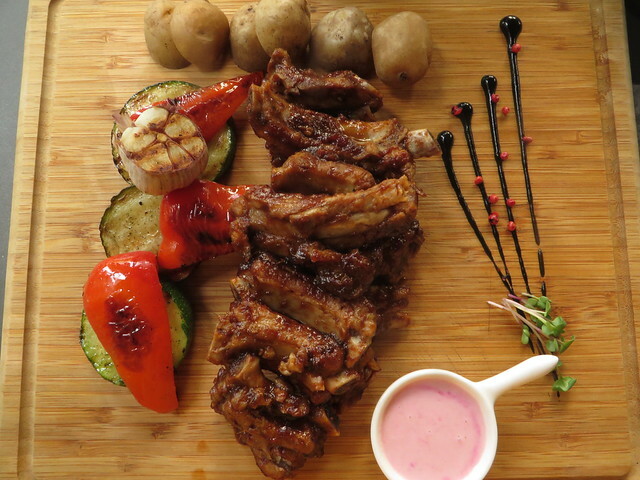 Pork is the main type of meat you will find, but beef, lamb or duck show up on the restaurants menus. Meat is normally part of a main dish, accompanied by potatoes, as a side dish. Raguolis, also called Sakotis, is a traditional cake, especially served during Christmas time, as it also actually looks like a Christmas Tree. It’s a butter dough, covered in chocolate and powder sugar. Nothing too fancy, but worth trying. 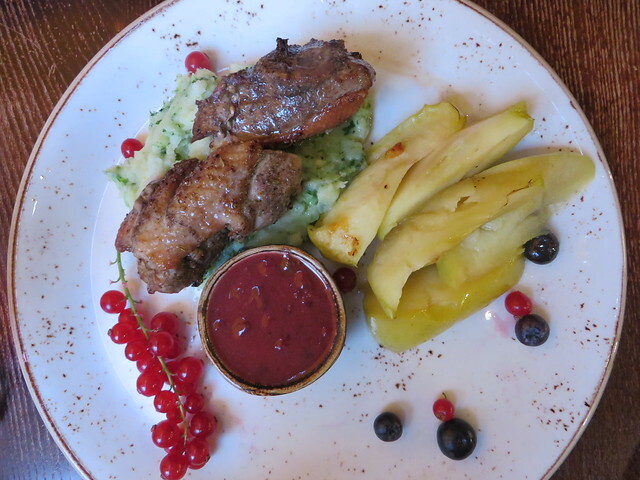 Senoji Kibinine, in Trakai– good option for an outdoor meal facing the lake and the castle. Must try the Caraway drink and the bread drink together with the Kibinai. Zuvele Restaurant, in Judokrante a nice place with a summer terrace, perfect for the sunny afternoon we had. Menu based on fish dishes, smoked, cooked, jellied, marinated. Vista Puode, in Kaunas, a very nice restaurant having seasonal dishes cooked with as much as possible local ingredients. It was our favorite place in terms of food from the whole trip. The snails were the superstars of the evening. Zalia Pupa,in Kaunas, a very nice vegan bistro with a daily menu, open only between 11 AM and 5 PM. 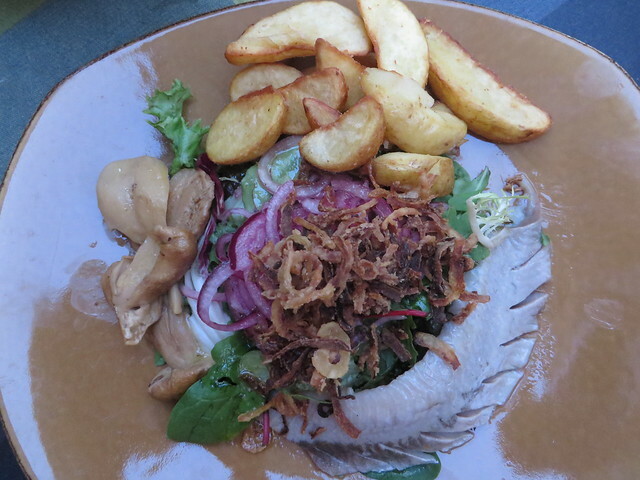 Etno Dvaras and the Pub Leiciai are the restaurants we tried out in Vilnius. 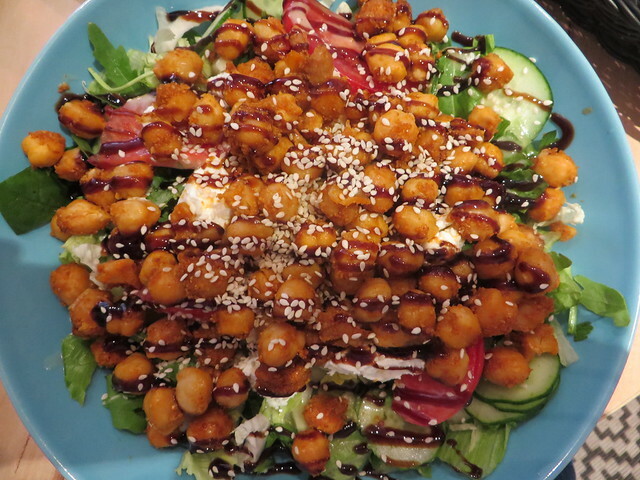 Both are quite good in terms of food, having mostly traditional dishes on their menu. Etno Dvaras is a bit more touristic and it’s normally full of people and a big line in front of the place waiting to get a table. Pub Leiciai is a bit less crowded and it has some very special Lithuanian beers to try.